Fort Collins art advocate Bruce Freestone hopes to give northern Colorado cultural organizations a boost with a tax initiative modeled after Denver's Scientific and Cultural Facilities District (SCFD). CPR arts reporter Corey H. Jones looked at what it will take for proponents of the sales and use tax to get it on the 2016 ballot. CPR arts editor Chloe Veltman spoke with with Dani Grant of the music promotion company Spokesbuzz about why the state of Colorado is increasing its level of investment at the South by Southwest (SXSW) music festival this year. Loveland-based developer Ryan Green is creating a video game to cope with the loss of his son, Joel, who passed away from pediatric cancer last year. "That Dragon, Cancer," which Green expects to release this fall, is generating international buzz. Colorado State University archeologist Christopher Fisher was part of an international research team that uncovered the remains of a lost civilization in the depths of the Honduran rain forest. Fisher tells Colorado Matters host Ryan Warner the archeological and ecological implications of this discovery are more compelling than the myths linked to the region. Aspen Film, which organizes international events such as the Aspen Filmfest and Aspen Shortsfest, announced Wednesday its co-directors George Eldred and Laura Thielen will leave their positions at the end of June. Steven Blatt, founder of the new non-profit music education organization Bringing Music to Life answers questions about this year's Instrument Drive, which awards used instruments to Colorado school children. Pro Musica Colorado Chamber Orchestra performs American composer Richard Einhorn's "Voices of Light" on Friday in Denver and Saturday in Boulder. The music will accompany the 1928 silent film "The Passion of Joan of Arc." CPR Classical spoke with Einhorn about this weekend's concerts. For the latest "Colorado Matters at the Tattered," host Ryan Warner talked with Denver author Cynthia Swanson about her debut novel, "The Bookseller," which is set in 1960s Denver. 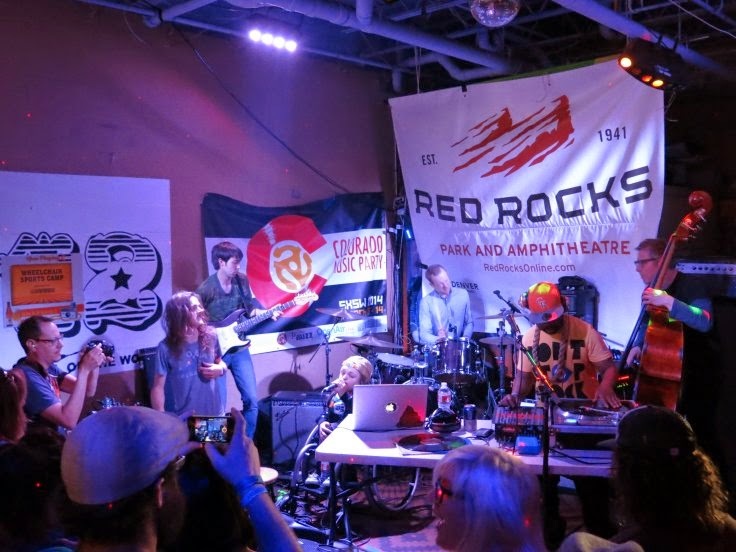 The Colorado Music Party at SXSW returns to Austin for its third year. It has expanded to five days with more than 110 artists. OpenAir has the finalized schedule for the 2015 event. CPR’s Arts Bureau spotlights this weekend’s Colorado cultural happenings, including Frozen Dead Guy Days in Nederland and a photography show at Denver International Airport charting 45 years of changes to the Colorado landscape.